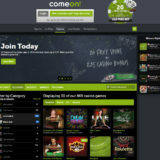 Good integration into the ComeOn website. 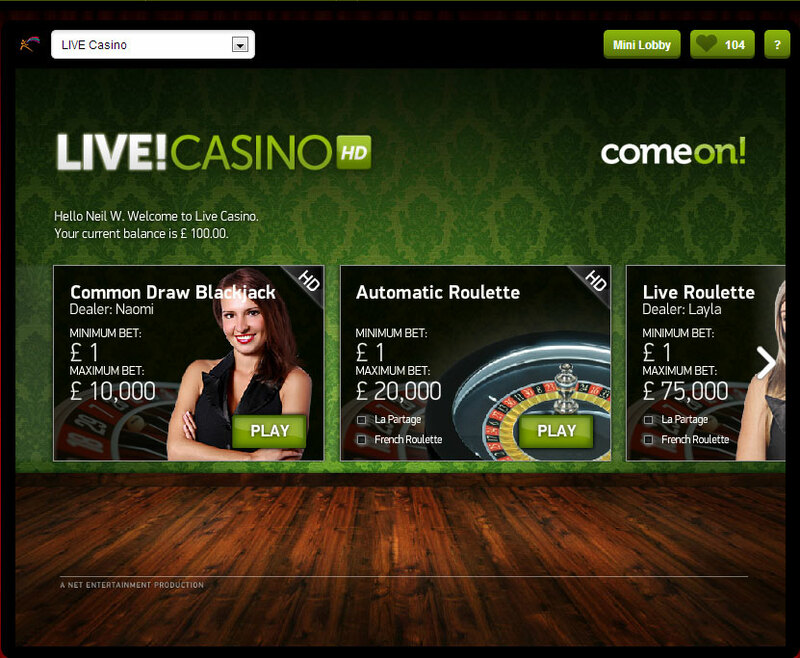 Two Live casinos to choose from with some cracking Blackjack games available. ComeOn have two live Casinos that offer Live Blackjack. Common Draw BlackjackWhere one player hand is dealt from a 6 deck Shufflemaster dealing shoe. An unlimited number of players are then able to play the hand, with each person deciding whether they will hit, stand, double or split the cards. The way you choose to play the hand is down to you, so anything that happens after you have stood or busted does not affect your hand. Once all players have completed their hand the dealer will take his second card and then complete his hand. He has to draw to 16 and stand on all 17’s. 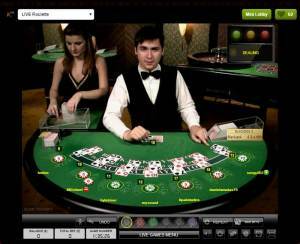 You’ll also find this game at the Redbet Live Casino which I’ve also reviewed on Live blackjack sites. 7 Seat Blackjack or Standard BlackjackThis is still a 6 deck game, but up to 7 hands are dealt. Game play remains the same, passing from one player to the next until the dealer completes their hand.You can double on 9 / 10 / 11. Splits are allowed but you can only take one card if you split aces. You can hit any number of times on any other split, but you are unable to double. 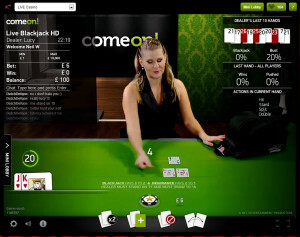 The software is modern and well integrated into the ComeOn website, you have the option to size the screen from small to large and also how many viewing windows you want to see, making it possible to play multiple casino games at the same time. 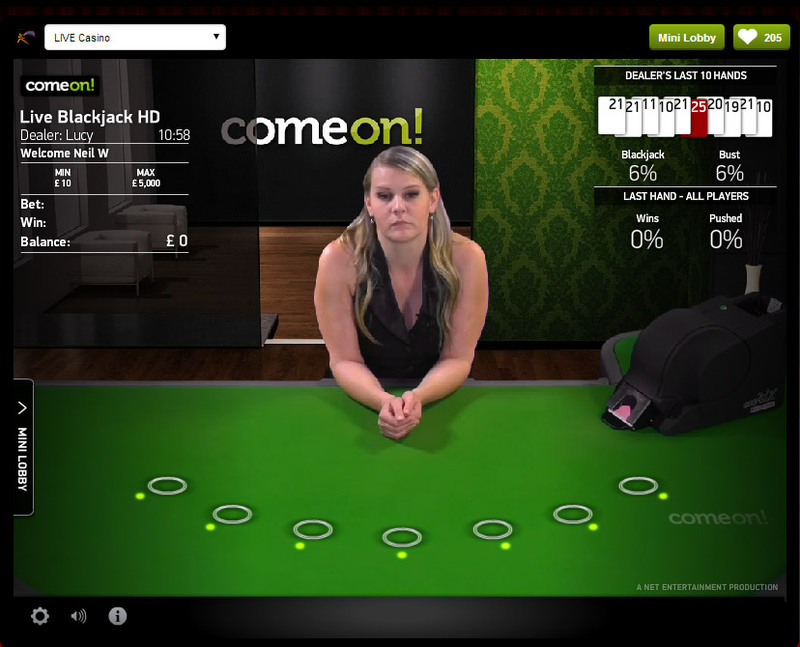 Your gaming wallet is common across all of the ComeOn products and you can access the wallet to deposit or withdraw from your playing screen. 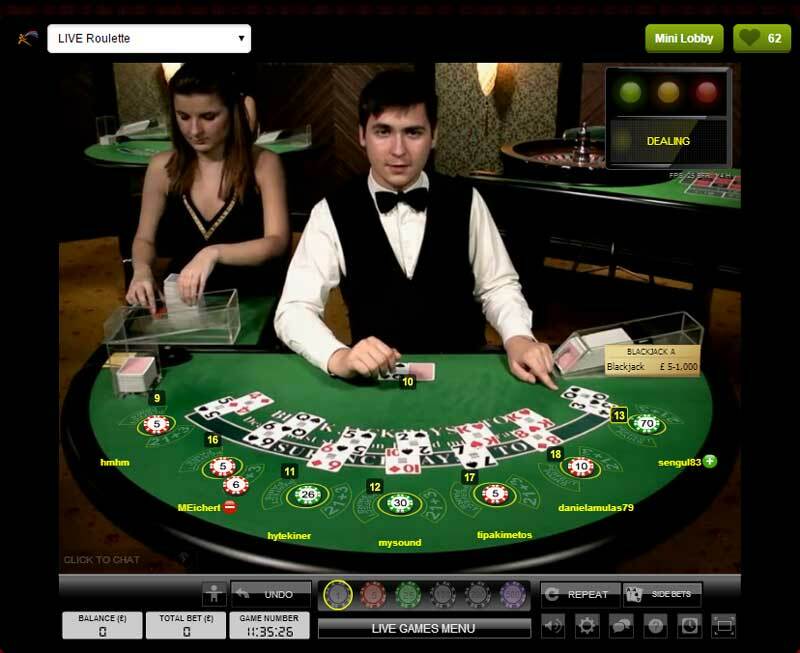 With the exception of insurance, there are no side bets offered to players, although you can play other casino games if you have the multi window option enabled. There are options to configure sounds, viewing mode and also the quality of the video stream. This is especially useful if your connection is a bit laggy, although the marketing blurb on the Net Entertainment website suggests that lagging should be a thing of the past! You’re able to see the hand history of the dealer and also your own through the information panel. The presentation has a nice modern feeling to it. 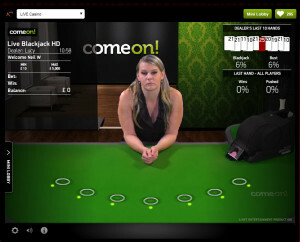 With the Chromakey green screen technology, the dealer is presented against a modern looking background rather than a typical dealing room view with other tables in the background. You do need to give the game you full attention though. I quite often failed to make a bet because I was browsing elsewhere on my PC. Some dealers are quicker than others at dealing the cards, so it’s best to get the pace of the table before doing something else. You will find that all the dealers speak good English and are very chatty. I’ve always found the table to be busy, which is a good thing. I never normally like playing on my own, which is one of the reasons why I like playing at live casinos. The dealing room is located at Net Entertainments live dealing studio in Malta. There are a number of Evolution’s general play and VIP tables. 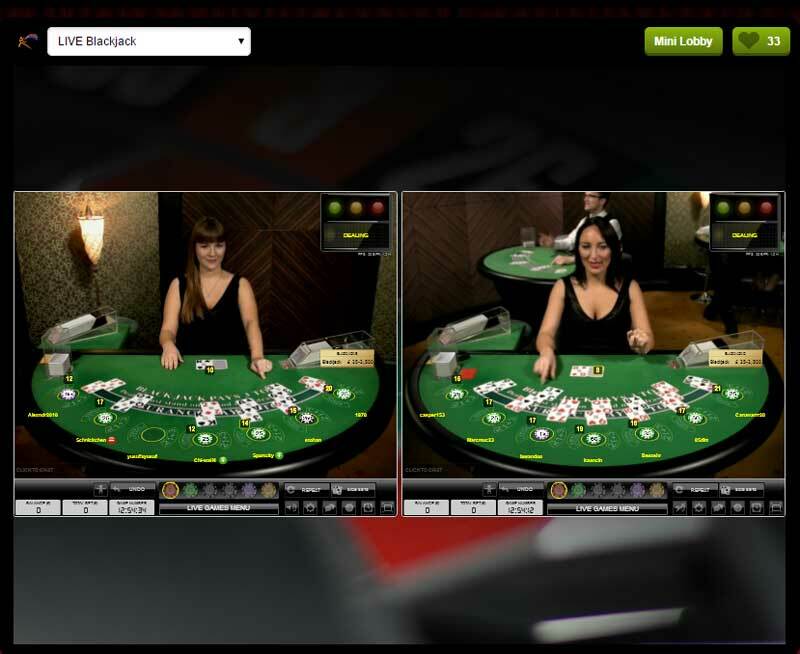 Blackjack Side bets are available and there is the option to play multiple tables at the same time. The software is very good and has a comprehensive set of options that can be configured by the player. Side bets can be switched on / off and you can choose your viewing mode from classic and mixed. To speed up play you can pre-select your first playing decision before it gets to your turn. ComeOn provide a range of banking options for deposits and withdrawals. There is a fee to be paid on deposits from cards but this is waved if you deposit more that £220. Withdrawals are processed back to the card you deposit with within 24 hours and have an added security feature of validating the withdrawal by entering a code sent to your mobile. Payment options include :-Bank Transfer, Click2Pay, Entropay, MasterCard, Neteller, Paysafecard, Skrill, Ukash, Visa Credit, Visa Debit & Visa Electron. 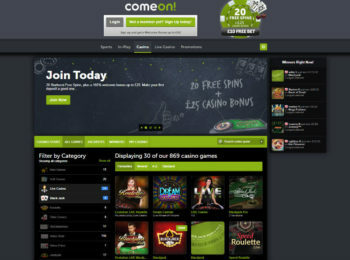 A 100% welcome bonus for new customers up to £25 is offered by ComeOn. 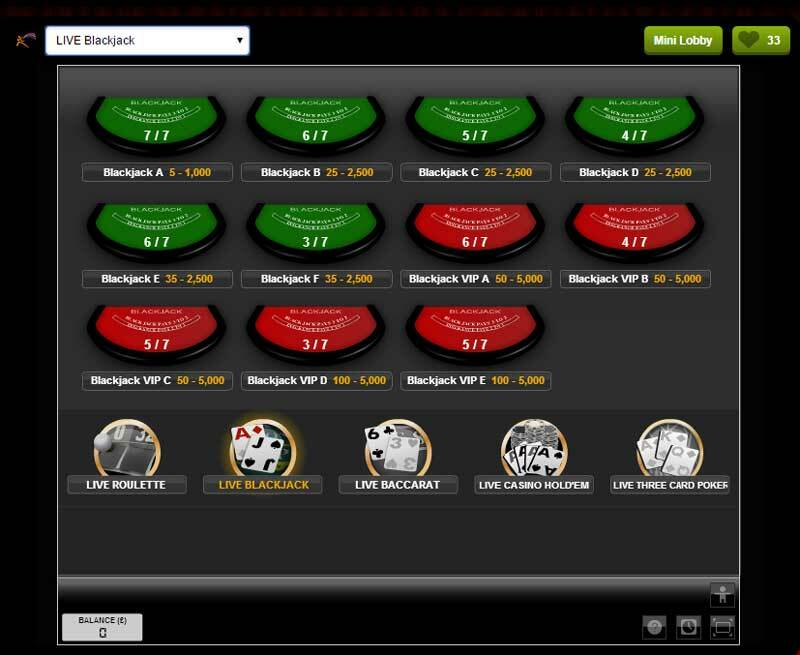 Wagering requirements are 35 x the initial deposit. 18+ Terms & Conditions Apply. As you would expect the most common forms of support are online Chat, Email and telephone with a call back facility. These are available between 08:30 am to 11:30 pm GMT. I’ve only had to make a minimal number of support requests and have always found the customer service reps to be very knowledgeable and helpful. ComeOn are a good online casino, you just need to check out what in being said about it in the player forums, such as Casinomeister. 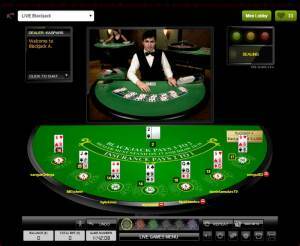 The live blackjack is well presented and the two live casino software providers are great. Personally, I’m not overly keen on common draw or unlimited blackjack so I always play the 7 seat version. 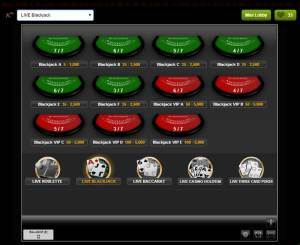 ComeOn Live Blackjack has better stakes than the Redbet alternative so is a good place to try out the games.